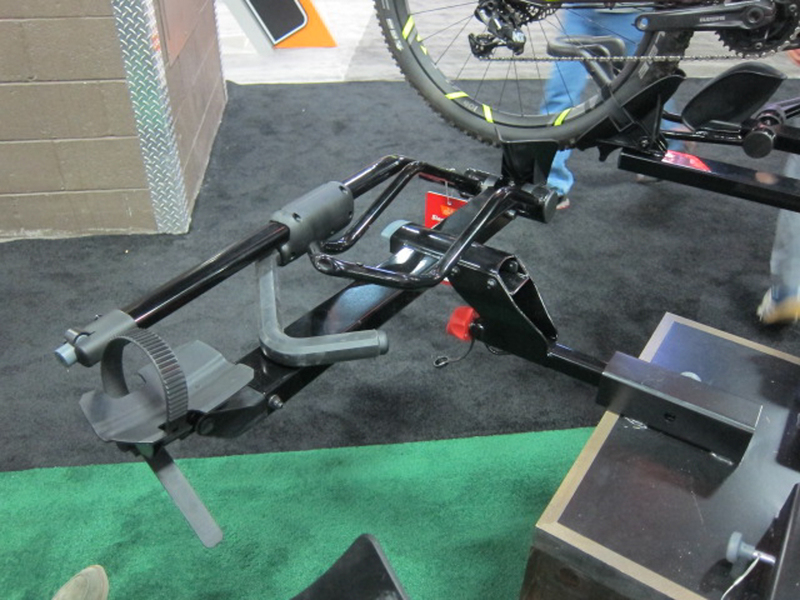 We’re in Vegas for the last Interbike in Sin City and here are a few interesting and/or new things we found on our first day wandering the show floor. 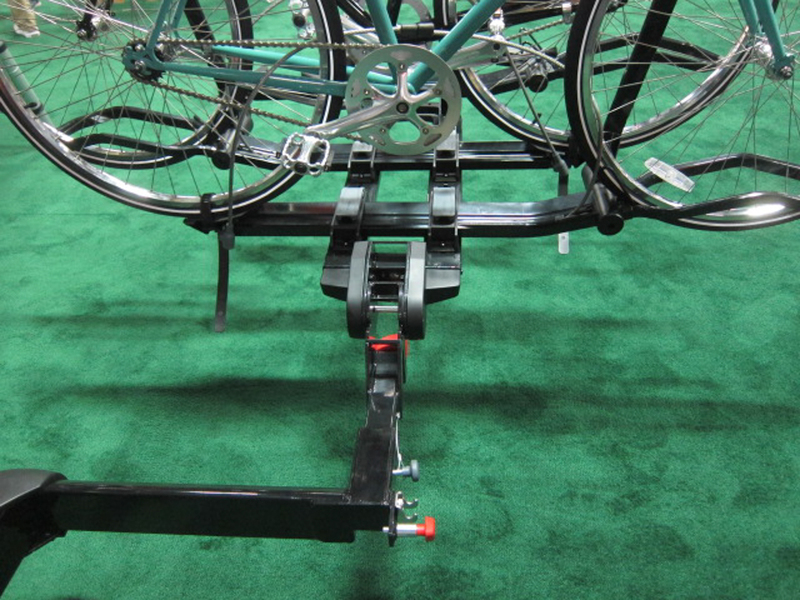 The BackSwing adapter from Yakima converts almost any hitch rack with a two-inch receiver into a swing-away rack (even those that aren’t Yakima). It will hold up to a four-bike rack with bikes (or about 250 pounds), will retail for $299 and will be available in April. The SingleSpeed one-bike rack is designed for folks who tend to travel solo (or don’t have any friends) and want a minimalist hitch rack. It is compatible with a variety of sizes of bikes from 20-inch BMX to fat. It will also be available in the spring and will retail for $259. 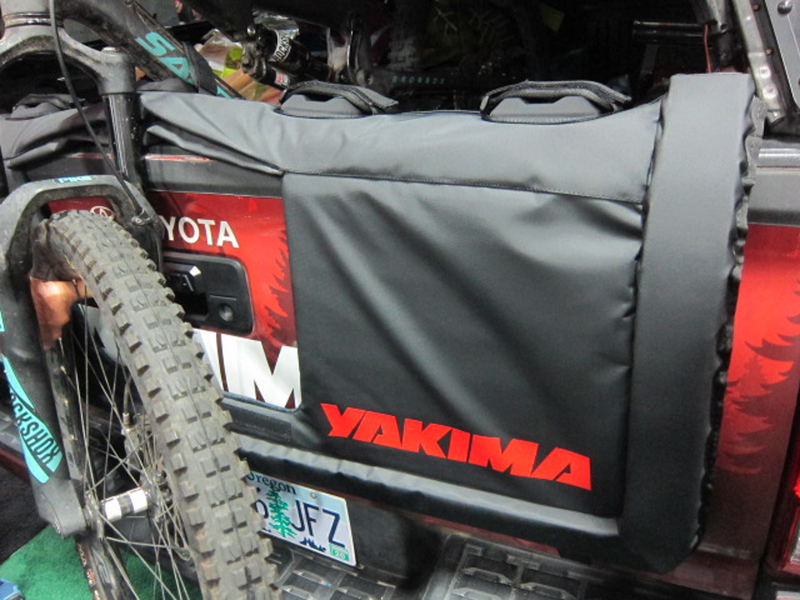 The GateKeeper truck tailgate pad will be available in two different sizes (fitting five or six bikes depending on the size of your truck) and features individual straps to hold each bike in places as well as a cutout to allow use of a backup camera with the pad in place. The larger of the two (62 inches wide and holds 6 bikes) will retail for $149 while the smaller (54 inches wide and holds 5 bikes) will cost you $139. They’ll be available in February.